It is early next January and Minnesota is visiting the Saints, leading late in the fourth quarter in a playoff, 27-23. With the development of young quarterback Teddy Bridgewater, a productive fall from Adrian Petersen, and a pesky defense, the Vikings have been the rising star talk of the NFC during the regular season. Only due to being on the wrong side of a standings tiebreaker with Green Bay did they not win their division. They have come into the Superdome as slight underdogs. The Saints are approaching the Vikings’ red zone with a little under two minutes to play, and a field goal will not suffice. Sean Payton, in typical sideline pose, is staring at his laminated play sheet, one hand on his side pressing the microphone attached to his belt while he barks the orders of the play call into Drew Brees’ helmet. It’s the usual litany of abbreviations for the receivers X, Y, and Z, and a swing pass option to the running back, on a hard count snap. As Brees trots to the line of scrimmage, Payton is out of time and recesses his finger off the mike. He meant to add “BP” for Brees to say in the huddle as a reminder, as he often does in these situations. BP stands for ball protection, and over the summer the offense was coached to be extra careful in the waning moments of a half or game, as the intensity on execution rises, simply protecting the football can be taken for granted. With nobody open downfield, Brees exercises his swing pass option. The back breaks a tackle and spins forward towards the sideline to get out of bounds for a nominal gain as he becomes fenced in by the opposition. While he does so, a trailing defender strips the ball from behind. The ball squirts around in bounds annoyingly until a bevy of players from both teams collapse on it. There is a mad scramble with more white shirts on the pile than black. The Vikings have recovered. In the waning moments, it’s 3rd and 5. Bridgewater takes a short shotgun snap indicating pass, while Petersen stands behind him staring straight ahead, hands on his knees. On a delay, Petersen is handed the ball and slashes off left tackle, breaking an arm tackle at the line of scrimmage. He rumbles for ten more yards before he is dragged down. The home team will not be getting the ball back. Fans quickly bolt for the exits. Game, Season – Over. At the pro level, contrary to popular perception, the nuts and bolts of a coach’s ability are not X’s and O’s, but the penchant to relate to, motivate, prick, cajole, chastise, and massage individual players in molding them as a team. When the messages get lost, the win loss record starts going down the tubes. The messages can get lost to today’s generation, no doubt in part, to the advent of social networking that has had dramatic effects on young people’s habits and values. Coaches are not enamored with tweets that bring undue attention to a press conference. Most probably don’t even know what Instagram is. Simply relating can become a problem. Young players today seem far more interested in selfies and such, their New School. The virtues of Old School are so yesterday. History in the league indicates 10 years is about the maximum effective stint that a successful NFL head coach stays with one team. Though Bill Belichick may end up bucking the trend, long gone are multi-decade plus tenures like those of icons Tom Landry (29 years) and Don Shula (33 years, 2 teams), the large majority of those years with winning seasons, playoffs, and titles. Ten & Done was spotlighted by the surprising early retirement of John Madden in Oakland in the late 1970’s. The brilliant Bill Walsh simply got burned out in San Francisco in the 80’s. Both had rosters capable of more Super Bowls. Jimmy Johnson is an interesting case study. After winning three Super Bowls and dominating in Dallas in the 90’s, he departed on his own terms, tired of owner Jerry Jones’ nagging interference. With players, he had managed a hip, aggressive, and no nonsense environment well, and the proof was in the pudding, at the pro and college level prior. He returned for several seasons with the Dolphins, but despite still having the prolific Dan Marino, they were a dud. The ultimate players coach was done. This millennium, Brian Billick and Jon “Chuckie” Gruden were both let go, not too long after bringing trophies home to Baltimore and Tampa Bay. This once would have been unheard of, as winning it all for a franchise use to earn a head coach the right to punch his own ticket there for as long as he wants. After a pair of rings in Giant upsets of New England, but with three subsequent non-playoff seasons, Tom Coughlin in New York is now in a precipice of win or move on. All NFL teams play like pigs for a week or two in a given season, because of the physical and emotional toll over so many weeks. In the Saints case though, the volume of stinky days has discernibly increased in recent years. Despite their abysmal start last season, in the middle of it, they hosted the Bengals when a win would have gotten them back in the thick of things. They were horrible, and it was the kind of lack of intensity that had fans calling the shows, saying they didn’t deserve to get paid. That game defined them as a relatively crappy team, as it turned out. The Saints’ slippage has been due to a variety of reasons, an aging veteran core, some wrong kind of “character” guys in the locker room, lousy draft picks out of college, and Coach Payton and his staff losing their dexterity in pushing all the right buttons. The reconstruction of this year’s team, from scouting to assistant coaches, to plenty of player turnover, has been well documented in the multimedia. This outfit has so many new faces, for the first time in years, regular fans will need to print out a roster to learn the numbers of the players and who they are. The 2015 Saints will answer a roll call on conjecture. Without Jimmy Graham to attract multiple defenders in coverage (whether he got the ball or not), how open will the rest of the field be, so others can flourish? Regardless of what side of the Graham opinion fence you may have been on when he left, consider this: he and Brees are the third most effective QB/TE touchdown combo in league history, right behind Brady and Gronkowski in New England. The unit looks a bit eerie without him. Following the departure of Darren Sproles last year, the front office has pushed the envelope in having let two of the most unique targets in the entire NFL leave the premises. Saints fans use to seeing their team score points in flurries will have to learn patience. Defensively, this canvas is splashed with oils. Not much ado was made about the departure of one of the best tackling machines anywhere, linebacker Curtis Lofton, now in Oakland. And this in a position where the unit has been woefully thin for what seems like, forever. Where Art Thou, Rickey Jackson? The injury bugs hit the defensive backfield hard before the first kick-off. With his off the field issues, pass rusher Junior Gallette let the team down. If the defense can’t tackle, put pressure on the passer, or cover receivers with any regularity, once again, will affable coordinator Rex Ryan survive calls for his head in Jackson Square by November? On the business front, the fact is the team is at a significant competitive disadvantage because of hefty “dead” salary cap money, meaning players no longer here are getting paid because of contractual gaffes penned by GM Mickey Loomis. In a nutshell, the Saints are shooting at opponents out of a 5 bullet chamber – with 4 bullets. As for the opener in ‘Zona, predictably, it got hot in the desert. The Cardinals are talented and sound on both sides of the ball, well coached, and are simply better at the moment. Ex LSU Tiger Patrick Petersen manned up on Brandin Cooks and took him out of the game. The Cards are poised to wrest their division from Seattle. The loss isn’t one to sulk about in New Orleans though. The team didn’t let it get out of hand by halftime when it looked like it could be, and hung in there all day. Both units played well in spurts, just not for 60 minutes. The young wide receivers showed some promise. Marques Colston dropped the 3rd down pass costing the team a last possession, preceding the controversial punt at the end. Colston’s drops and fumbles have been nagging for several seasons now. As a season ticket holder pointed out, his asset liability ratio has sifted into the negative. He should be sat down more, and given less opportunities in that he can possibly recapture his concentration. GM Loomis and Payton should knock heads about the possibility of acquiring some, any kind of pass rusher before the league’s trade deadline in late October. This is the outfit’s most glaring talent weakness. 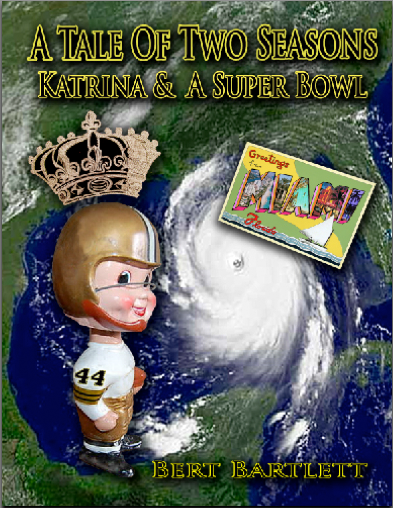 Saintsville will inevitably feel better about themselves Sunday evening, after pitiful Tampa has come and gone. It has the profile of a route, and the feeling is Sean Payton may run the score up if in position to, not to humiliate the Bucs, but to instill a more aggressive mindset into this team. Don’t be surprised if the Saints score a Nifty 50 . This happens to be Sean Payton’s 10th season in New Orleans. Though he is a fine coach and will never go needing employment, it’s the most defining for him here since his first, the Post Katrina Saints of ’06. How it turns out will resemble an off – Broadway production of Anything Goes . Welcome to the 7th (!) season of Souls of The Saints . Posts are anticipated to be about once or twice a month. Time flies. I think you made some cogent points about the Saints. Thanks in part to NFL contractual network television obligations the first week of the season, the Washington DC market got an afternoon treat by getting to watch the Saints square off against the Cardinals. From my armchair position, I observed a Saints team not wholly believing in itself. It just looked like competent players were striving to be competent. As you aptly point out, every team is going to have a stinky few quarters. But I saw a squad missing its mojo in the game against Arizona. You are right… there has been slippage. I’ve been following the Saints since their inaugural season in 1967 when John Gilliam ran back the opening kickoff for a touchdown. One thing that has defined the football team since its inception is its attitude. Sean Payton is a great coach. Drew Brees, the guy that should be on the majority of fantasy football teams. Everyone is going to have to kick it up a notch on Sunday when the Saints come marching in… or Payton is going to have a lot of sleepless nights between now and any potential games in January. Appreciate your take. The fun thing is that everybody has one. RE slippage, I meant more and more in games and seasons recently, vs. quarters. This is a relatively new team with so many new faces. So my take was they were not not believing in themselves or missing their mojo as much as – trying to find and identify themselves. I think this will take a little time but it does have the look of an outfit that can get better as they play more together and as the year goes along. These are definitely not the same Saints you have seen in recent years. Glad you got to see ’em in DC. They do not have as many national appearances this year. And that was no mediocre opponent in Arizona. Though they don’t get much national hype, the Cards are strong, and I opine they are 1 of the best, say, 5 teams in the league right now.